A Cabinet minister has disclosed that the Zimbabwe government will continue training nurses although it is not in a position to offer them employment soon after completion of the three-year course. Health and Child Welfare Minister Dr Henry Madzorera said although the number of unemployed nurses was on the increase, the State is mulling doubling its intake of trainee nurses. Over 500 nurses graduate annually but most of them fail to gain employment as Government has frozen their recruitment. "We are aware of the plight of these unemployed nurses and efforts are under way to make sure that we will be in a position to offer them employment again. "The recruitment of nurses was frozen because of lack of resources and once the situation permits, we will employ as many nurses as possible," said Dr Madzorera. The move to freeze the recruitment of nurses has adversely affected service delivery as many Government health institutions are under-staffed. 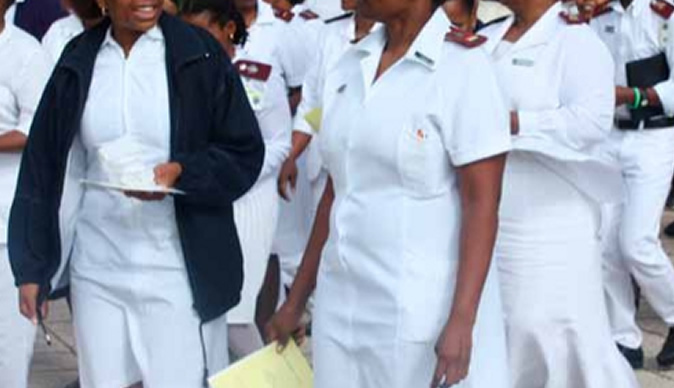 Analysts note that even if the estimated 2 000 unemployed nurses are to be assimilated into the system, the country will still experience a shortage of nurses. As part of measures aimed at addressing the situation, Government will continue to train nurses, Dr Madzorera revealed. "The training will not stop," he said. "Even if we reach the number of nurses we want to employ, we will still need them in excess. "These nurses who graduate should not only wait for the Government to offer them jobs. "The fact that they have been trained means that they are now professionals and can apply for jobs anywhere."